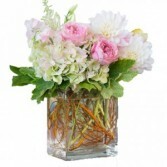 Lovely white Dahlias, pink roses and a special variety of antique green hydrangea in a swirl of curly willow. 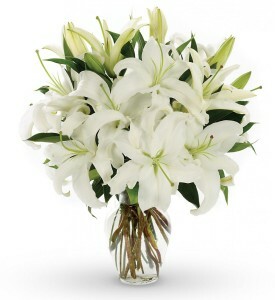 No persuasion necessary with this bouquet of fresh flowers! 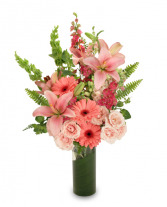 Hot pink gerbers, pink lilies, mini spray roses, larkspur, and snapdragons are complemented with bells of Ireland. 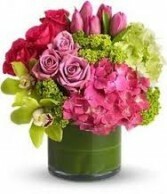 Send this arrangement to the special woman in your life!